Retreat attendees have the option to stay in the main condo block, or reserve one of their own units with the resort. Alhonna offers great, low cost accommodations from motel units with a kitchenette to 3 or 4 bedroom condos. 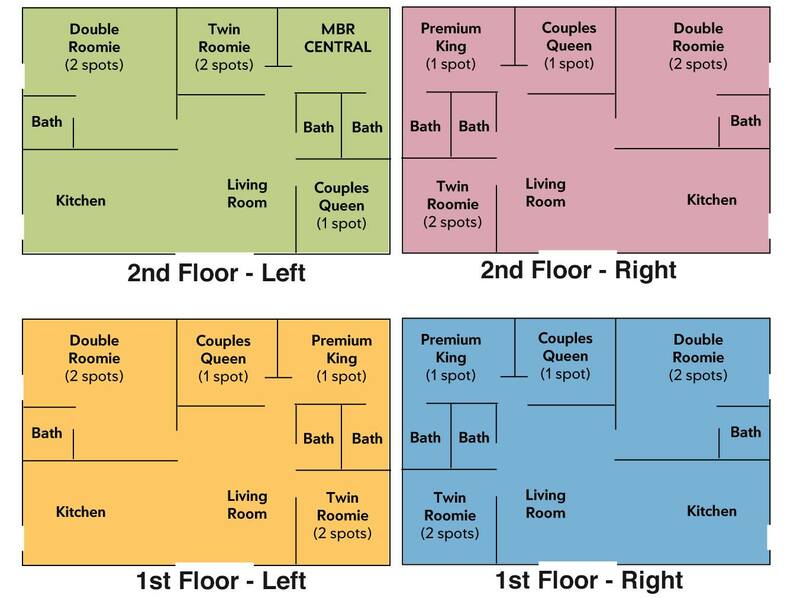 Below is an image of the condo floorplans for the main condo block. To register for the retreat, please visit the Ticketing page.